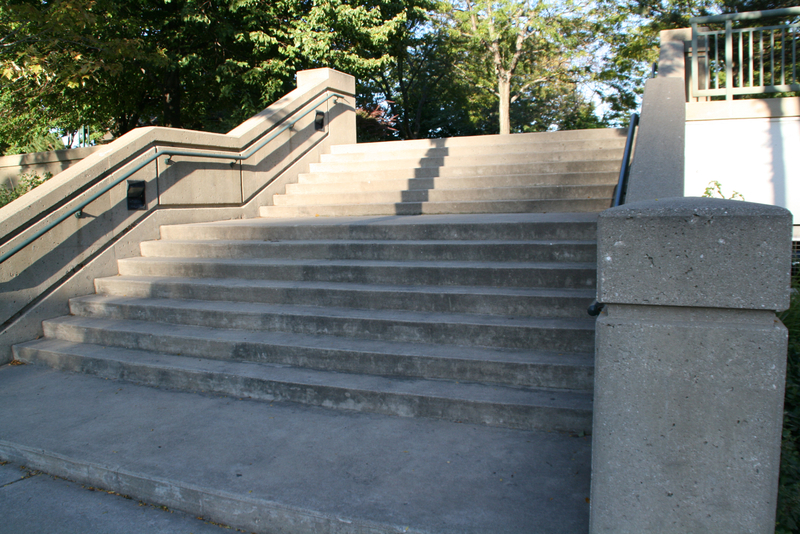 There are a few nice staircases up to the park, but they do nothing to draw you up them. Photo taken September 23rd, 2014 by Jeramey Jannene. All Rights Reserved.